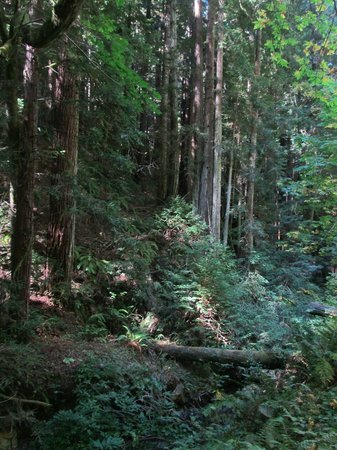 Purisima Creek Redwoods Preserve offers a variety of scenic hiking terrain, from Redwoods forests, shaded gulches, to exposed ridges with views of the Pacific. We’ll explore the park in a small group and do a 9-11 mile hard/moderate difficulty hike. Please note this hike is STRENUOUS. It is not technically difficult, but the route is long, with sustained steep portions. Total distance of 10+ miles, 2100+ feet of elevation gain. Liability Disclaimer: Outdoor events such as hikes, walks, and bike rides are activities that involve the risk of property loss and personal injury, including but not limited to permanent disability and death. By registering or participating in this event ("Activity"), you and your estate agree to waive any and all claims of liability against the Harvard Club of San Francisco, the Harvard Club of Silicon Valley, and other co-hosting clubs, if any (the "Clubs"), the Clubs' officers, event organizers, volunteers, agents, and affiliates for any and all injury or damages that you may experience. You and your estate further agree to indemnify the Clubs, the Clubs' officers, event organizers, volunteers, agents, and affiliates against any and all claims brought by third parties who allege that you are legally responsible for property loss and/or personal injury during an Activity. You agree to assume all risk of personal injury, death, or property loss that might result from participation in the Activity.